Hello garden friends. Just returned from wonderful journey to Italy. I joined my friend Jan for eight days of travel bliss. Rome and the Amalfi Coast were places we stayed and we journeyed out from there. I will be posting a new blog called Italy 2013 where I will share my pictures and some of my most favorites thymes. 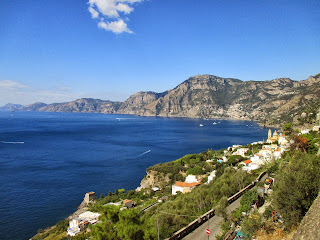 ( Hint..cooking class in Ravello). Everything was so "favuloso". Keep reading , let you know blog site soon!! !